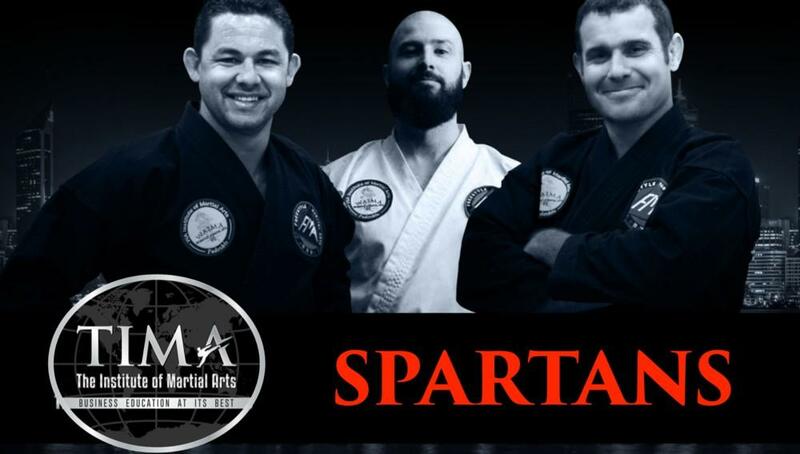 Alex: Today, we're talking about martial arts industry benchmarks so Phil, kick us off with this. Phil: Sure, well look, in every industry, I suppose, there are benchmarks which you need to, I suppose, keep in mind, because it helps you understand where you're tracking and with statistics or benchmarks, it's important that as you're reading those statistics, that you can see the curve before it happens. 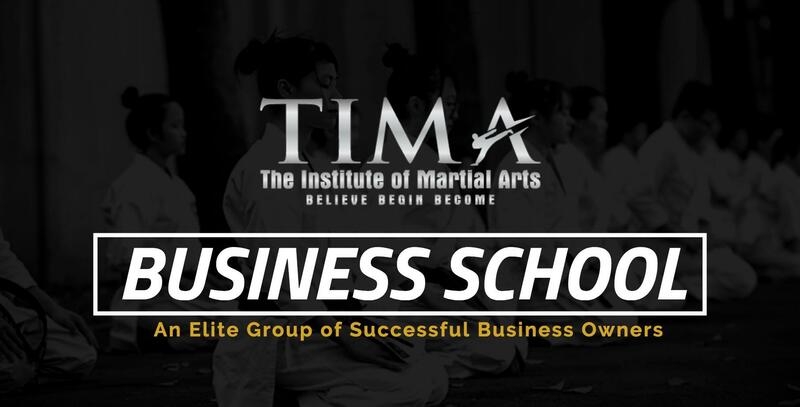 So I know in our industry, we have certain benchmarks that we have, I suppose, that are renowned around the world for the martial arts industry, for example, we're talking about quit rates, join rates, the average student fee, over-the-counter sales, all that sort of stuff that we in our business basically align ourselves with or check off with and see where we're tracking. And obviously we want to try and be ahead of the game and be the best in the world, so that's why we come with quit rates. I'm going to shoot to Graham on this one, because he's actually the numbers guru. In every good partnership, you've got to have someone who's strong in some areas, this is his area. Graham: Look, Alex, with benchmarks and quit rates, as Phil was pointing out, as is standard across the globe, anyone who's operated with about three to five percent as a quit rate of their student base each and every month is outstanding. So if you're operating within that range, your business is doing very, very well for itself. If you're between five and seven percent of your students that are quitting every month, it's what they would call a good standard to meet. Seven to 10 is average and if you're beyond 10, you've got some serious issues and you need some help. Alex: Seven to 10 is average. Okay. Graham: Yeah, seven to 10 and you think, my goodness, as a smaller school, when they're talking about having 100 members and 10% of their student base quits per month, goodness, that's a pretty major impact to have on your business so you really do want to be at the lower end of the scale and that takes some hard work. There's definitely some areas of focus there that are really going to help you a lot. A lot of schools go the wrong way around and look at the join rates to be their standards. But they don't always realize that jeez, if you're filling the bucket up but there's a hole big enough at the bottom of it that's pouring straight out, you're going nowhere. So, as an average, years ago, they used to say 80% of the students who are the new clients that would come through the door was the aim to have them sign up. Realistically, in the last few years, we've seen the target number would be about 60%, because people are just, they're not as committed, they're tire-kickers, window shoppers, and even as a successful school, which we have, 60% signup rate for people who walk in the door is a pretty good average. Alex: Okay, so people are quite fickle. Graham: They definitely are and it's a challenging one because you do everything in your power to bring people through the doors, they come on in and for whatever reason, they just change their mind, they get bored, they - whatever else. So industry standards are changing and that's something we need to be aware of but also too, we only use them as a guideline. Realistically, it's nice to know where the levels are at but obviously work on making sure you yourself are pushing the limits to be able to surpass industry standards, so that's really important. Alex: And that's interesting that you've got to be looking at what's falling out the bottom of the bucket as well as what you're putting in at the top. Graham: A lot of people focus in on wow, look, I'm joining 5 people, 10 people, 20 people, whatever it may be but not necessarily looking at how many people are leaving and more importantly, why. Why they're leaving, because if you can identify those, it's actually going to help you to hopefully patch that hole and save those clients. Phil: It's also a lot easier to keep the students you have than to market new students who don't know you. So plugging the hole in the bucket as Graham said is imperative for continued growth. Graham: Look, Alex, there's a couple key factors that are in there as well, too, that we do with understanding quit rates and understanding your numbers and whatnot, because you can very quickly have some impact on changing numbers in your business for the positive if you look at lots of different things. So for example, for us, we look at attendance rates in classes, attendance rates are starting to dip, we understand, "Okay, cool...why?" What are the reasons behind that? Again, we talked about quit rates, I think, okay, is there a consistent pattern here, is it just a one-off, did we have one month that was worse? So for example, over Christmas, we know that the restart of the year, you're generally going to find a few people have decided not to come back. So we're know, okay, that might be a slightly higher month than normal, that's okay, we're not happy with it but we understand there's a trend. But if that happens in March when the school should be pumping, then there are some major issues there. So we definitely do look around at lots of different areas in our business to understand why they're affected. Alex: So we've got quit rates, what other benchmarks are we looking at? Phil: We look at average student fee a lot, because a lot of businesses have different fees for different people. For example, I know we used to have a certain rate for one family member, a percentage off for the second, a percentage off for the third and thereafter and even little kids priced at a different amount and adults priced at a different amount, as well. So therefore, when it came down it, our average student fee was quite low, especially if you were joining younger students at a lower fee. So we decided to change quite a while ago, trying to bring everyone to the same value. Although we still reward family members and people who bring in multiple people in our school, one of the biggest changes that we did was to have the first and second family at the same price. Every third member is discounted and we actually offer every fourth and thereafter free. Yeah, so we're obviously embracing and encouraging families to come along, it's a nice thing to do, because we are a family school. But once we changed that first and second, the second family discount was gone and we brought that back up, because most people have, generally, I would say, two children in their family or at least maybe a parent and child training and to be able afford the same amount, it's doable. So then we discount the third and obviously thereafter four. We also looked at all our little kids, the three to five, who were difficult to teach and we were charging less for them. So well, something's got to change here. So we're constantly looking at this average student fee and also play into over-the-counter sales as well, because we want every student to be able to be spending a certain amount a month over the counter. So I think once we started concentrating on this whole bringing the average student fee up or trying to align them all together, we hit some big financial goals in our business, so it was huge. Ashley: Okay and yet you still have this structure where if you do more than one lesson a week, then you get money off. Phil: Yeah, well, look, there's a few ways that we do that, so our normal membership fee, we charge for two times a week training plus we throw in a free one for you, so you get three times a week for your training. Most people will just do two, third one is an extra bonus for them but that's how we gauge that off. If you were someone who wanted to train once a week, then the fee's going to be more expensive to compensate for that. Graham: As a benchmark for our listeners, all schools charge slightly differently but for the guys that are out there listening, we have an average student value at $82 a fortnight, so if you were to work on that as a monthly, because obviously, 26 fortnights in the year, therefore, every month, would be about, I would say about $175 average per student. Now there are a few that are a whole lot higher than that, there's a few that are obviously under that using their actual contract value, but just for the listeners to get a bit of an idea, about $175 average across 1,500 members. So it gives you an idea there, we're not all about money but it's important to know those averages so we can know how we're tracking, how can we can increase that, how can we improve our business. And really that's how we do it, which brings us to talking about how we actually improve our stats and how we change things, because it's really important to know how your numbers but also know the areas that you're not necessarily working well with. And we have, with all of our staff, once a month, where we'll print out the three key branches that we have and print out the stats that go with it and get each of the staff member of that particular branch to go through with their manager and highlight the area that are doing well but more importantly, highlight the areas that need some improvement and some focus on. And then obviously do the training and good conversations around why, why did that occur? Is it across three schools that that number's low, is it one branch, is it whatnot? So, very important to review your numbers and then strategize on how we can improve them, because looking at it from one month to the next is important, but we generally also look at the last quarter to see if there was a trend. And that way, Phil has obviously pointed out before, see the curve before it has a major impact on your business and obviously, we've bridged it out to six months and obviously twelve monthly. So it gives a really good gauge to go from last year in January, it was this, this year in January, it is this, are they on par, have we improved, has it gone backwards? And then obviously apply the relevant tips to be able to improve it. Alex: Sure, you can't bury your head in the sand, can you? Just got to be on the ball with it all the time. Phil: And what I think's an important point to make, again, for the listeners, is there's going to be certain benchmarks, the statistics that the directors, the owners look at, there's going to be some that the managers look at, and there's going to be some that the instructors look at. What a lot of people fail in doing is the guy in the ivory tower looks at all the numbers and the stats and keeps it to himself and doesn't empower the other in staff to improve them themselves. So obviously an instructor who's full-time isn't going to see how much revenue we might pull through and the manager's type of stuff there, but it's important that they do see the statistics they can actually change themselves, like as Graham mentioned, statistics on how many times kids are coming to class, what's the percentage value of that, the quit rate and all that sort of stuff. So they can say, oh yeah, that's my class, I teach that, well, there's a bit of progression there, jeez, I'm losing five people a month in my class, what am I doing wrong and then we can train that instructor on how to improve that statistic. Alex: So the TIMA magic metrics. What are the TIMA magic metrics? Phil: Look, it's a - I guess we really do mention the five areas that we focus on with our staff and target areas and it's important for all business owners to probably have a look at these. We pointed out at the start was the quit rate, that's really important, that's your magic number there that you need to do. Joining rate's important, okay, knowing how many people you've got coming in but then their average fee, again that's a key factor in there. I think over-the-counter sales is something that it's just another revenue stream, if people are not willing to invest in your business, not only as a student but whatever other merchandise or other programs you've got going on, I think that's another way to make sure your cash flows as a positive thing there. To be honest with you, I guess the final thing there I could possibly say is, review constantly. Constantly review, check it out and then obviously strategize on how we can improve whatever it may be, whatever target areas that are not necessarily hitting their benchmarks or they're the numbers we look for and training those, rather than just throw your hands up and have a cross that's going on. Alex: And be involving of all the staff members if they know and if you know that they can improve. Graham: Accountability's key and I definitely know that empowering them to feel that they have some impact on the business, not just turn up and check out is vital and that's where you're going to get that buy-in plus see some major improvements as you go along. So exciting times but I definitely know that reviewing constantly your numbers is key. Phil: I'll just add one more last thing for the guys out there, because there are probably a lot of businesses that have just started or have been at it a while and don't do statistics. Alex: Yes. Phil: Just do it and be consistent, because the thing is, you need to be able to map past performance, whether it's three months, six months, 12 months, because you want to see, as Graham said, is there a trend at Christmastime, is there a trend in summer or winter? What are your benchmarks for your school, so while it's nice to compare about someone else who's doing really well, because you always want to see the grass is always greener and you're trying to chase someone, but know where you're at because only you can improve on where you're at and where you're going. So be consistent is one of the major things with statistics. Don't just do it once and go, oh, I'm doing well or not good. Keep at it. Alex: And gut feeling, I think, from running my own business, you go on gut a lot but not having the cold, hard figures at your fingertips, you can't live like that, you can't work like that. Graham: Alex, as an experienced business owner yourself, I'm sure you've got a great gut instinct, but how do you teach that to somebody else? So having the numbers there, the numbers don't lie. Phil: They certainly don't. Alex: Okay, awesome advice. Thank you Phil and Graham. Graham: Always. Phil: Thank you. Announcer: You've been listening to the Martial Arts Business Success podcast. 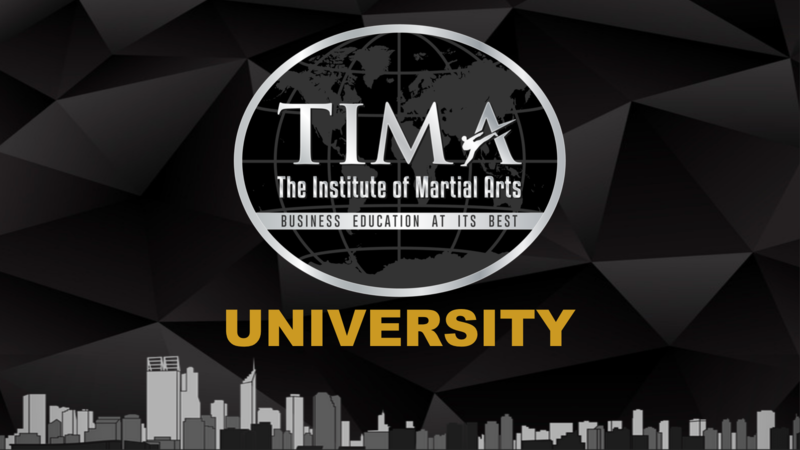 For more information, please visit our website at TIMA.com.au.